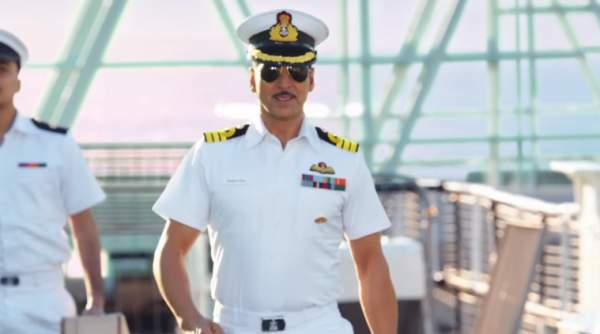 Rustom 6th / 7th day collection and box office earnings: Akshay Kumar’s Rustom movie came as a landmarking achievement in his career. Rustom collection came to be the most talked this month as this metric is going to decide the rankings of a superstar. Currently, specifically in Bollywood, Salman Khan is securing is number one position on the metrics of fan following and box office. Akshay Kumar currently stands just behind him at the position 2. But the response on Airlift and Rustom had increased the rankings of the superstar on the box office. The film star who had suffered a lot in his initial years had faced many adverse situations in his Bollywood career. Currently, he is at the peak of his career. Akshay is most probably the most versatile actor in the entire industry. He has done love films at a time, which was replaced by comedy film, then action film and now patriotic movies. No other actor has guts to touch movies based on history a year ago when such films failed repeatedly. However, the response from the international audience on Akshay Kumar’s films is quite moderate. He is not able to woo the overseas market even after repeated efforts. The overseas response was much better on Airlift in comparison to Rustom. The decline in fan following in overseas market is not a positive sign. A remarkable change has been observed in many countries including UAE-GCC and United States. The real test of reel begins during the 3rd day. Sunday is as much crucial and important for any Bollywood film. A movie can make its 20% lifetime collections on Sunday itself. The audience goes positive for the Sunday and occupancy charts tops with 60% during the whole day. No. of theaters were also increased during the midnight. Rustom Collection also passed that test by collecting over 19.50 cr on the 3rd day. During the 6th day, collections were low to a level. The movie didn’t experience a big downfall but still the number goes down. On Wednesday, Rustam collection were 6.28 crore rupees according to the initial reports. The occupancy remains quite substantial during the whole day. Rustom superb movie… Akki is grt. india ki sbsy jyada profit krne wali movie hogi nt doubt ..